Make the next 10-miler Philadelphia’s Broad Street Run. It’s entirely downhill! My dad lured me into this one after running just one 5K race years ago, and since then I’ve run it at least five times (by the t-shirt count). The morning began at zero dark-30, 45 degrees on Somerville Ave, when a bunch of us freezing runners got to shake Mayor Nutter’s hand. I showed him my “Boston Red Sox” which Mayor Nutter said were “awesome, but where’s your from Philly to Boston with Love sticker?” So I unzipped my throwaway fleece to prove to the Mayor that I am a rule-follower. The gun goes off, and we wait 15+ minutes in the sea of runners, to cross the start, luckily (or unluckily) Neil Diamond’s “Sweet Caroline” was playing on repeat the entire time – great song! I might never listen to it again. Mayor Nutter is at the start, hi-fiving all the runners – charismatic guy! 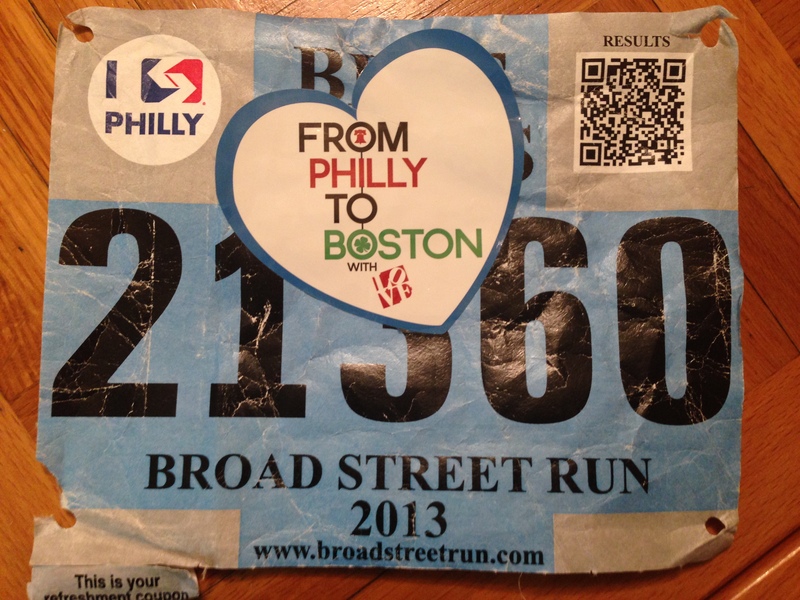 Thanks from all Liz’s running Broad Street! “RUN NOW! BACON LATER! 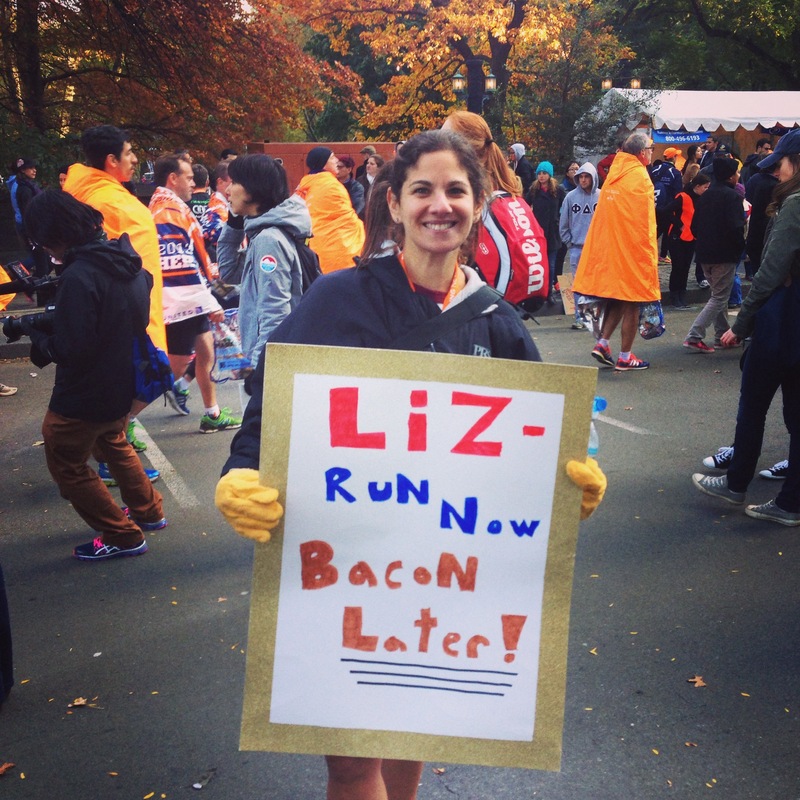 GO LIZ” – thank you – from me, and some other girl named liz. 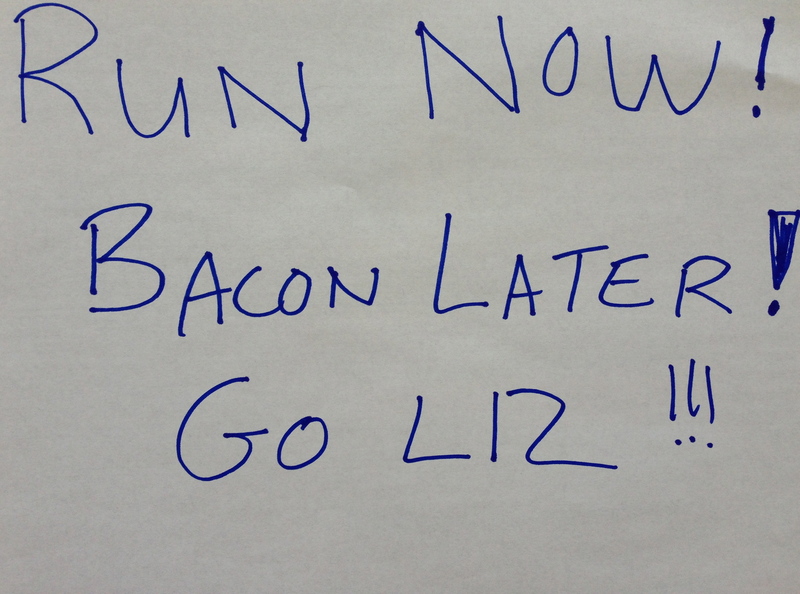 The bacon fantasy got me through Mile 7, at which point I realized I Shotblocks would have to do for now – nothing like a carb kick towards the end of the race. I was thrilled to see the awesome Methodist staff cheering at Broad & Wolf. Mile 8 – wouldn’t you know it – SWEET CAROLINE is playing again!! Then comes that awful last mile, where you think the entrance to the Navy Yard is the finish line, you start sprinting, and then you realize you’ve got another 1/4 mile – ouch! BUT, at least it wasn’t 26.2! All worth it in the end! The Philly goodie bag included soft pretzels and tastycakes; I tried to keep it healthy by eating the yogurt & fruit bar, which WAS tasty, but it was cake, not a fruit bar Gotta love Philly!